Hello,I'm a long time both athlete and coach on Training Peaks. I enjoy coaching all levels from pure beginner to national champions , and really like to focus on communication and connection with the athletes. I'm not really interested in providing stand alone plans but really enjoy individual clients and when possible in person skills development sessions, either one on one or in a group setting. Please take a look at our webpage and get in touch, I'd love to chat! John brings over 20 years of experience as a competitive endurance athlete. Personal achievements include Ironman distance triathlons, marathons, pacing athletes at the Western States 100, and extensive racing in the disciplines of cyclocross, track, and road cycling. As a dedicated and seasoned Cycling Coach, John uses a proven combination of the latest technology in data collection, consistent and effective communication, goal setting, nutritional education, and customized training plans to assist his athletes in achieving maximum results. 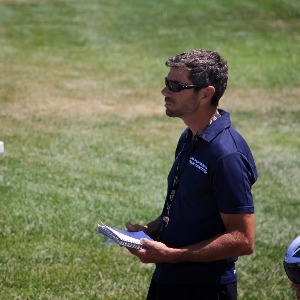 John is also a Director of the Hellyer Velodrome Juniors Program, a Director of the Earlybird Training Series, a Coach with the USA Cycling Junior Talent ID camp, and the Performance Director of the Oakland Composite High School Mountain Bike Team. John enjoys racing his bike and trail running in Northern California. I accept athletes of all shapes and sizes. Success. Coach john s cheetham has been notified of your message.